You'll love the very open floor plan of the kitchen, living and dining rooms. The large dining table has comfortable seating for 6. Cook your favorite meals in the modern kitchen fully equipped for your needs. 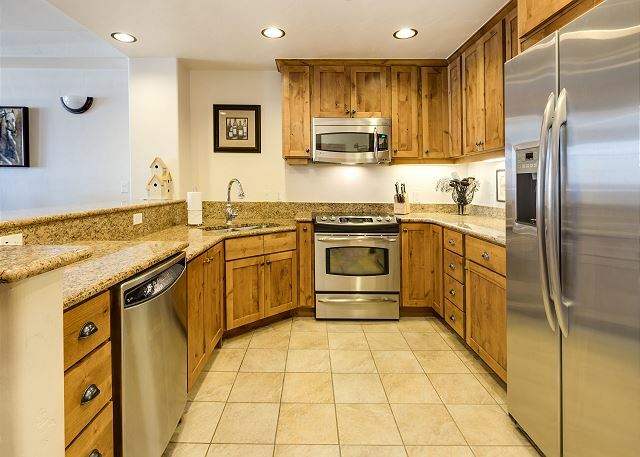 There's counter space galore and stainless steel appliances. 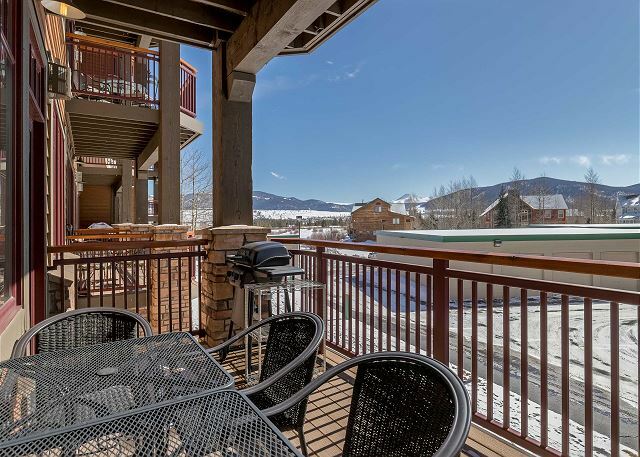 Relax outside on your own balcony with gas grill and partial mountain views. Sleep soundly in the master suite with queen bed, dresser, night stands and tv. 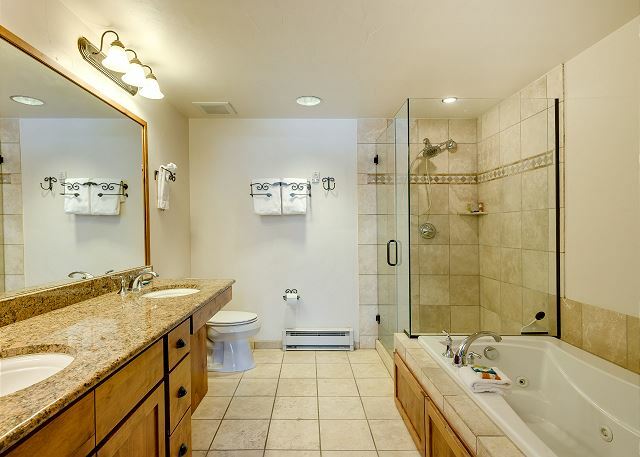 This in-suite master bathroom is luxurious with jetted tub and double sinks. 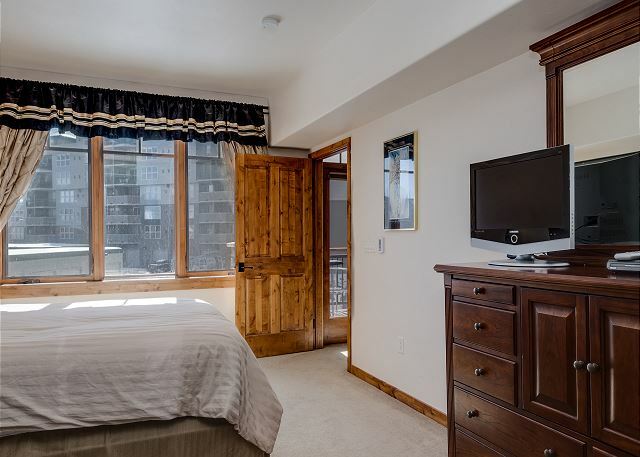 The second bedroom is spacious with dresser and closet and private bathroom. Sleep soundly in the comfy queen bed or enjoy your favorite show on the tv. 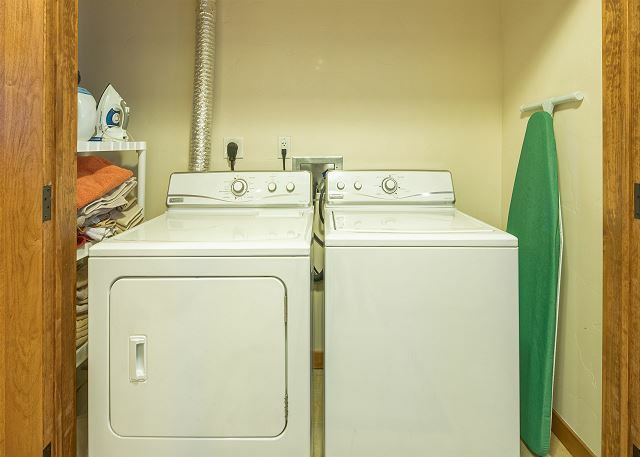 Pack light and take advantage of the washer and dryer in the condo. The best view in town from the two hot tubs, heated year-round. The bridge just beyond the fence is the rec path. Yes, you're that close! Cyclists on the Summit County recreation path, right behind the building. 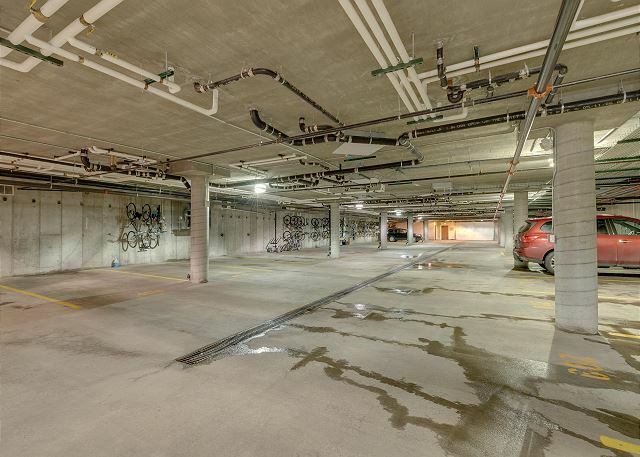 There's no scraping ice and snow from your vehicle in this heated garage! View of Lake Dillon on a stormy summer day. This condo is just up the stairs on the right, or take the elevator up. The front entrance is in the middle front, with an elevator just inside. 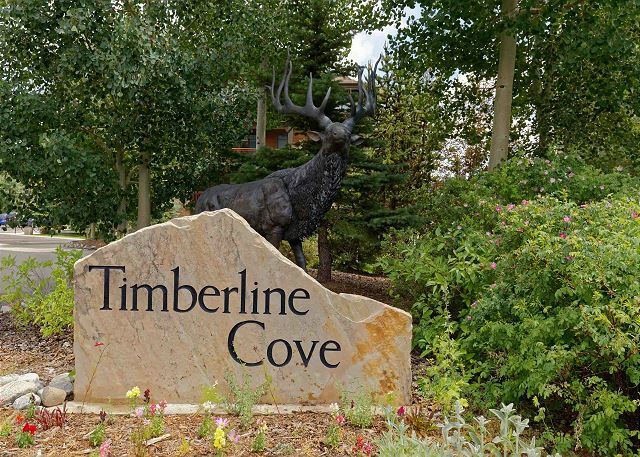 Timberline Cove is conveniently located off 1-70 and Highway 9 in Frisco. 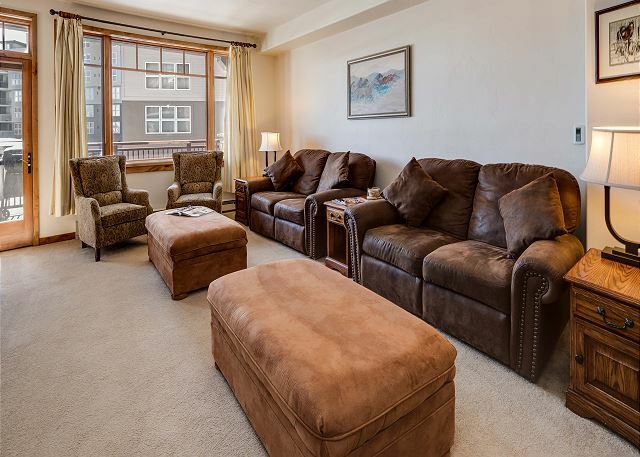 2 bedroom, 2.5 bathroom lakefront condo sleeps 6. 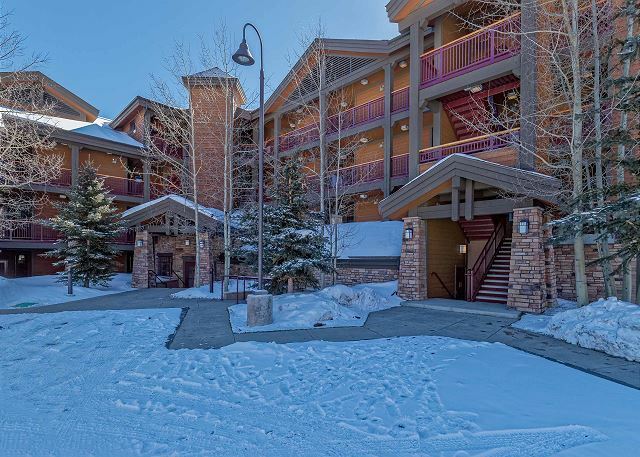 This spacious, comfortable Timberline Cove condo offers all the conveniences of home for your winter or summer vacation. 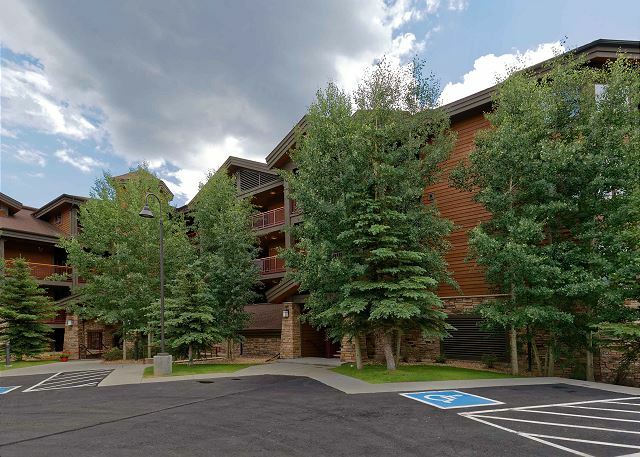 Located in a lovely upscale and quiet complex on the shores of Lake Dillon, this gorgeous getaway is centrally located to enjoy all that Summit County has to offer including skiing (of course! ), biking, hiking, fishing, sailing and so much more! 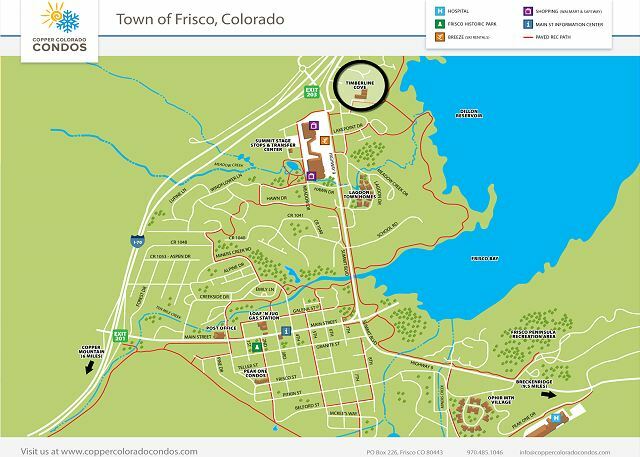 The Town of Frisco is right in the middle of Summit County - Colorado's beautiful playground. You can't beat the location! 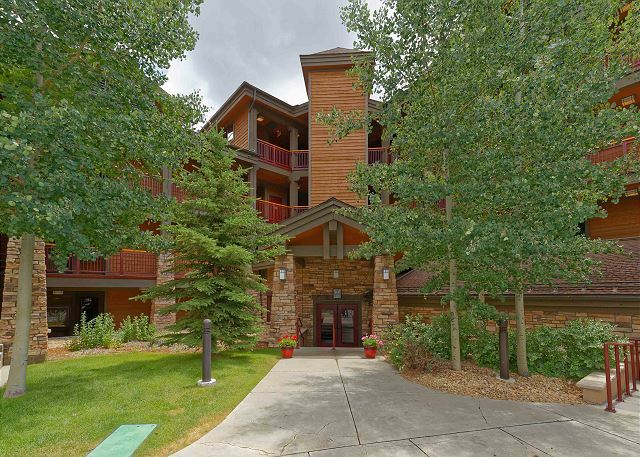 Timberline Cove 209 is a beautiful 2 bedroom, 2.5 bathroom condo that accommodates up to six people. 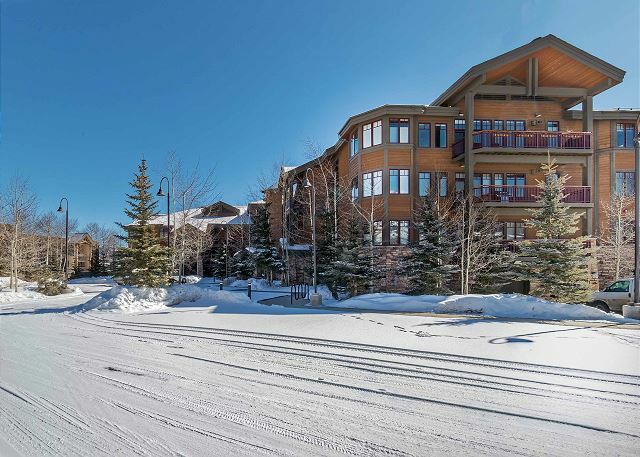 This property is in a wonderful complex with top-notch amenities including two outdoor hot tubs with exceptional views, outside picnic area with gas grill, heated underground parking, and elevator. Conveniently located on the second floor, there's easy access from the stairs or elevator. 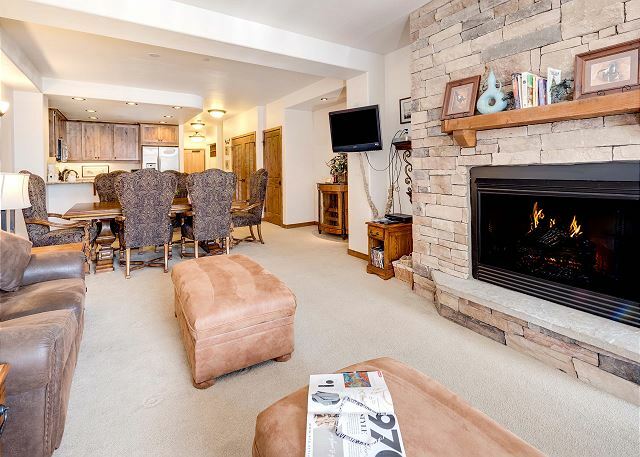 Inside, you'll enjoy comfortable living and dining furniture, free WiFi, flat screen TVs with cable, gas fireplace, in-unit washer/dryer and fully equipped modern kitchen with granite counters and stainless appliances. 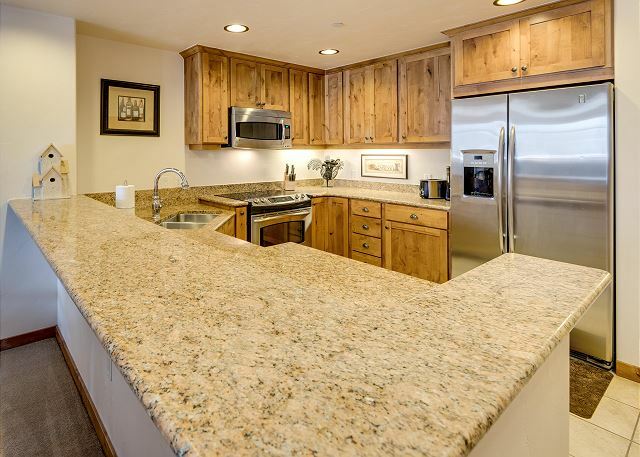 The kitchen has everything you'll need to cook a gourmet meal...except for the food! The chef will be part of the conversation in the large open floor plan through the kitchen, dining and living areas. 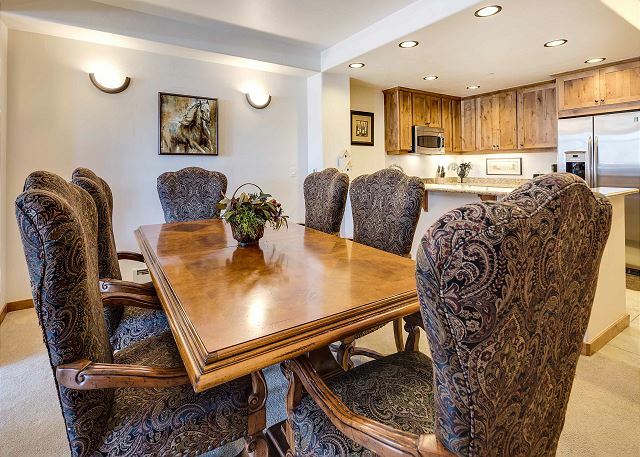 The dining table has comfortable seating for six. The large living area has more than enough seating for everyone to have lots of space to enjoy the fireplace while watching a movie...or just relaxing. Both bedrooms feature queen beds, and upscale private bathroom. 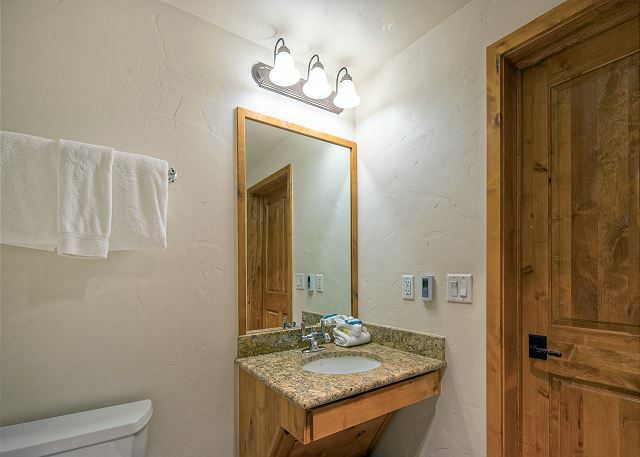 The master suite has a jetted tub and separate shower plus double sinks. Two can get ready at the same time! 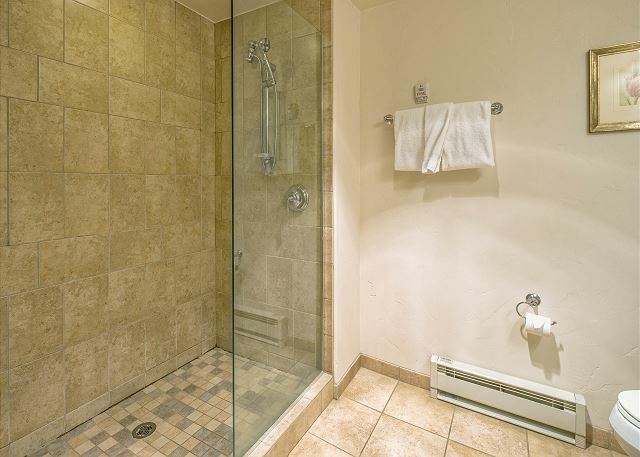 And the guest bathroom has a large shower. The wide entry way area is a great place for gear and boots, and there are extra cubbies and hooks to keep your smaller items organized. There is an office den with desk just inside the front door if you need some privacy while you work. The den also doubles as a third bedroom with two twin sleeper sofas, recommended for children, not adults. This home is very spacious and comfortable for six! 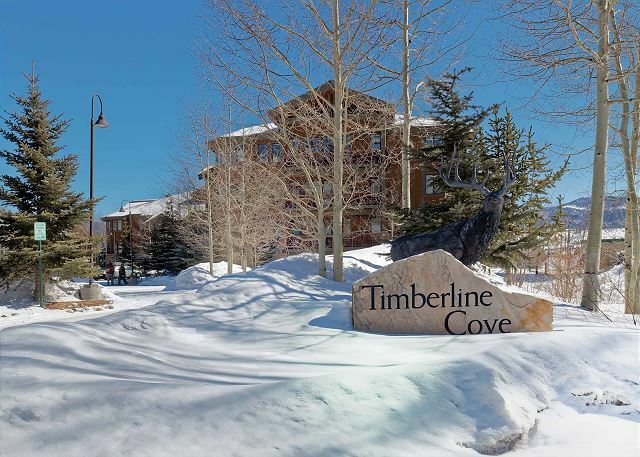 Timberline Cove is in a coveted lakeshore location where you can walk to Natural Grocers, Starbucks, and Which Wich in minutes. You can walk across Summit Blvd to Safeway, Whole Foods, more restaurants, shops, snow sport rentals, sporting goods and Walmart. 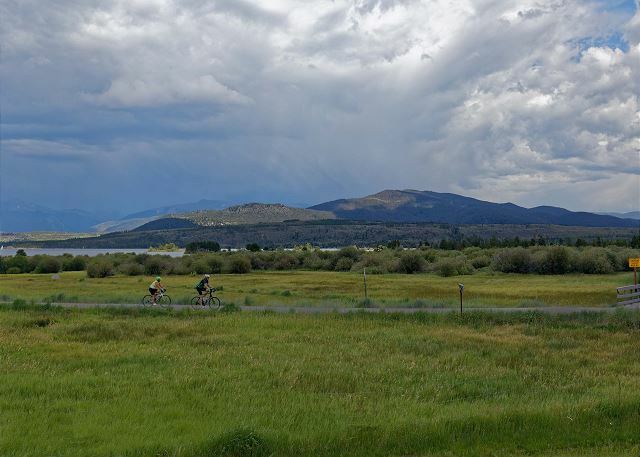 The Summit County Recreation Path, which goes to every town and resort in Summit County, is right outside your door. Walk, run or bike along the lake and over the boardwalk to see wetlands. 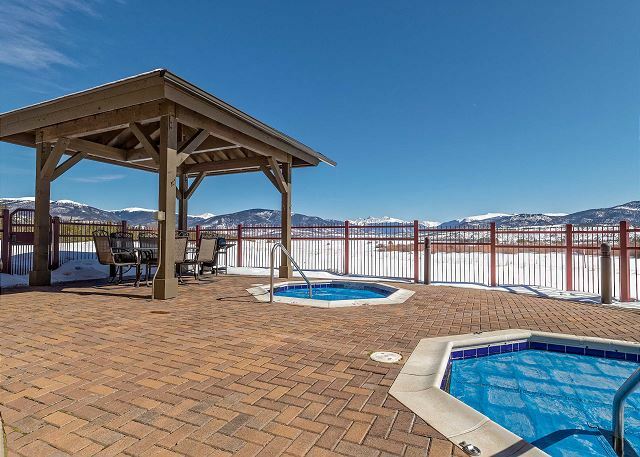 Our favorite activity is to stay put and relax in one of the building's two hot tubs and marvel at the incredible views of the lake and mountains! 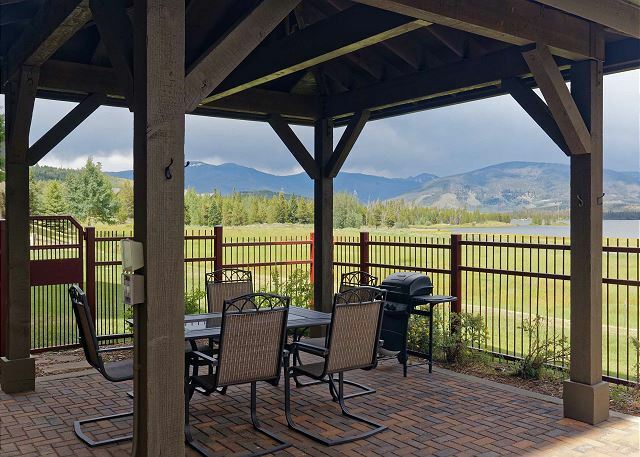 You won't find a more stunning spot with unobstructed mountain and lake views. 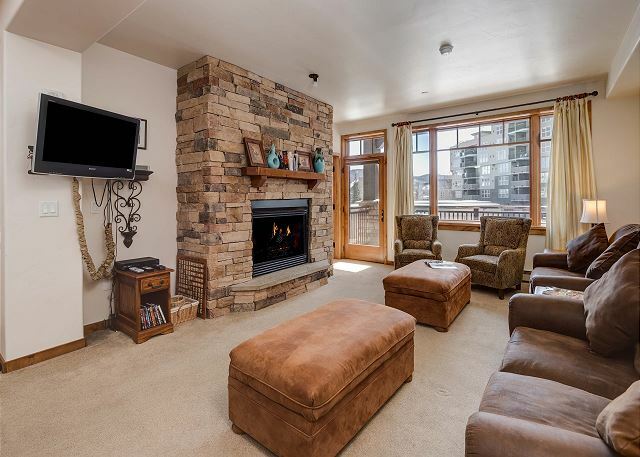 The views from inside the condo are not full mountain or lake views. 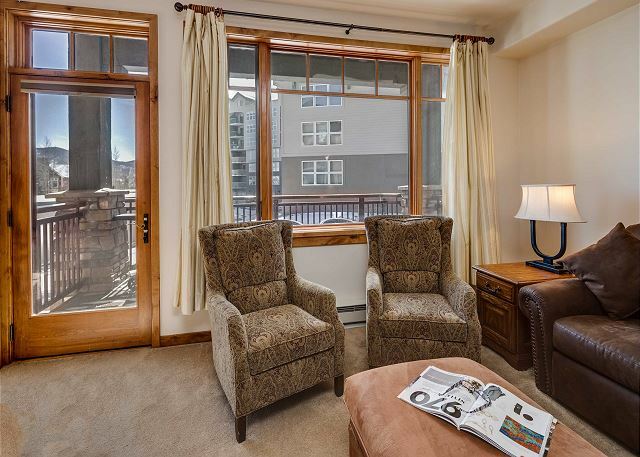 You'll enjoy a partial mountain view from the balcony. Please note: Check-in time is any time after 4pm. Check-out time is any time before 10am. We are not able to accommodate an early check-in and/or late check-out. Payment/Cancellation Policy - We require a 50% initial payment to confirm the reservation and the balance is due 60 days before your Arrival Date. If you cancel more than 60 days prior to the Arrival Date, we will refund the deposit minus a $100 cancel fee. NO REFUNDS given for cancellations made within 60 days of the reservation. There are no exceptions to this policy. We highly recommend Travel Insurance including coverage for cancellation due to any reason. Unused nights caused by early departure, and/or a reduction in nights, for any reason, are considered cancellations. We are locals, and love to talk about living in Summit County, so please contact us, and we'll be happy to answer all of your questions. We will respond right away and look forward to helping you with your Frisco vacation!